Super-Slick'Em tyre lubricant acts as both a penetrant and lubricant. It should be applied to the bead area before releasing the air. As the tyre contracts, the slick-em is drawn between the bead and the rim, greatly reducing the effort required to break the bead. It is an essential part of the bead breaking process on the new type of truck safety rims. 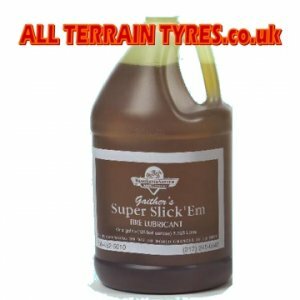 Due to it's unrivalled lubricating properties, Super-Slick'Em is also effective at reducing the pressure required to seat stubborn beads on all types of tyres.